After criticizing mayor Andre Sayegh for his past tax hike stances, the City Council approved a 2-percent tax increase on Tuesday night, giving his nascent administration a chance to deliver on the campaign promise to stabilize taxes through development. 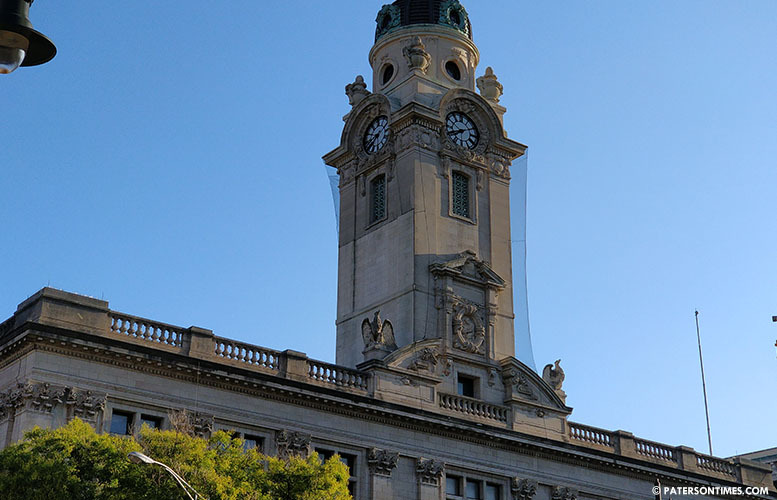 The council voted 6-3 to approve a preliminary $158.36 million tax levy for fiscal 2019, up from last year’s $155.22, raising $3 million in new revenue from homeowners, according to municipal records. Homeowners will see increases ranging from $230 to $439 based on fiscal year comparison from 2018 and 2019, according to information presented to council members. Before the vote Sayegh pitched the tax increase to council members with a PowerPoint presentation. Sayegh said his administration has been identifying ways to cut costs and increase revenue. His administration is moving to switch employees to the state health insurance plan to avoid big spikes in health expenses. He is also selling municipal properties like the Paterson Armory and the Leader Dye factory site. He plans to hire a grant writer to bring in dollars from federal, state, and private grants. “I want the council to be a full partner in this. We’re in this together and we’re going to get out of it together,” Sayegh told his former colleagues. Some council members criticized Sayegh for voting against tax increases in the past and now asking them to approve a levy hike. Others wanted to see detailed plans on economic development and ways to close the structural deficit. Lilisa Mimms, councilwoman at-large, wanted to see a short-term and long-term plan to address the city’s chronic fiscal problems. “I’d like to see a full detailed plan and the trajectory of how we’re going to get there,” said Mimms. Flavio Rivera, councilman at-large, suggested the administration submit an introduced budget by Aug. 10. “I demand a responsible budget,” said Rivera. He and other council members wanted stronger enforcement of municipal ordinances to address persistent quality of life problems and raise revenue through tickets. The city started the fiscal year on Jul. 1 with a $2.5 million operational deficit carried from the previous year. Luis Velez, 5th Ward councilman, asked whether the $3 million sale of the Paterson Armory, would be sufficient to avert a tax hike. Finance director Marge Cherone said funds from property sales will go towards closing the $27.7 million structural deficit. “Every year, I hear the same story,” said Shahin Khalique, 2nd Ward councilman. Some pointed to the “hypocrisy” of Sayegh’s tax increase request. “Previously, the mayor stood against these increases,” said Michael Jackson, 1st Ward councilman. He also took aim at the promise governor Phil Murphy made, according to Sayegh, to provide the city $11 million more in state aid. Some municipal officials have said that amount may not be forthcoming. “I feel slighted. The citizens of Paterson feel slighted,” said Jackson. The city last year received $27 million in state aid. “We plan to request even more,” said Sayegh. He remains optimistic the governor, who in his many visits to the city said he will have Paterson’s back, will keep his promise. Sayegh received the harshest criticism from William McKoy, 3rd Ward councilman. “You sat on this side of the fence and played that ugly game,” said McKoy referring to Sayegh’s many votes against tax increases. He said Sayegh, who has come to seek a 2-percent tax hike, opposed even modest tax increases. McKoy faced intense attacks during the campaign for supporting budgets with tax increases. A super PAC based out of Bayonne sent out mailers attacking McKoy for the tax votes. McKoy defended himself during the campaign asserting his votes were responsible because without a budget the government would shutdown resulting in cessation of municipal services for residents. McKoy voted against the measure. He was joined by Khalique and Mimms. Al Abdelaziz, Ruby Cotton, Jackson, Rivera, Velez, and Maritza Davila voted in favor. “We have to give this administration an opportunity,” said Jackson during his unexpected vote in favor of the measure. The Sayegh administration needed the preliminary tax levy approved to send out the tax bills. “This is a preliminary tax levy. This isn’t set in stone,” said Abdelaziz. A budget with a final tax levy won’t be passed until later this year or early next year. How about a layoff plan to go along with these cuts city will never make. These guys onely know how to spend money. And What is the city going to do when the state aide runs out?